Hello guys, this time i bring you a new BLEACH caracter called Ulquiorra! Ulquiorra Cifer, was the Fourth Sword of the army of Sōsuke Aizen, the main enemy of the series during the saga of Arrancar: The Decisive Battle of Karakura. After several years of uncertainty about the correct way to transcribe his last name, finally Tite Kubo in volume volume 38 of the manga has claimed that it is "Cifer", instead of "Schiffer", as originally thought. 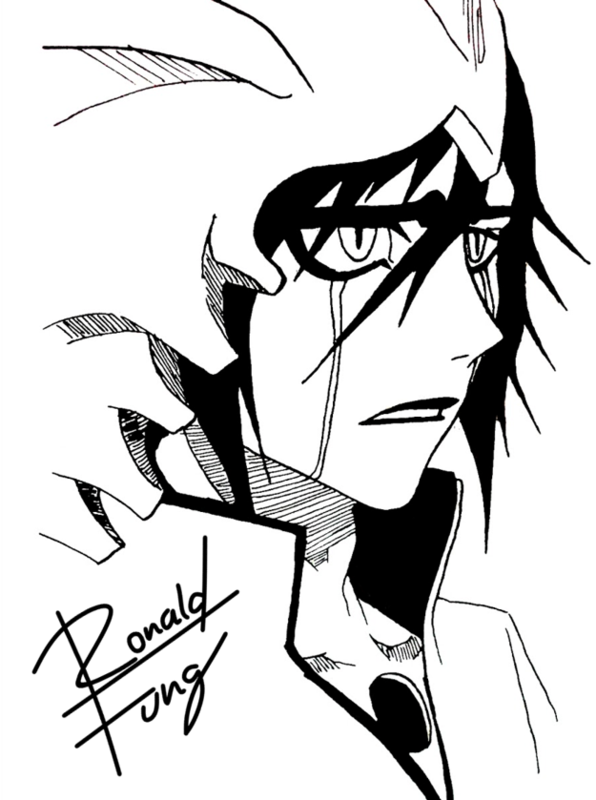 In his own words, Ulquiorra's main strength lies not in the attack, but in the ability to regenerate. Unlike other Arrancar who have sacrificed their Instant Regeneration abilities in order to achieve greater strength and resistance in combat, the Fourth Sword has developed it to recover any part of their body at enormous speeds, with the exceptions of brain and internal organs. Thus, the eye of Ulquiorra that he uses to show images to others, can regenerate and allow him to realize that strange ability, without a name, as many times as he wishes.